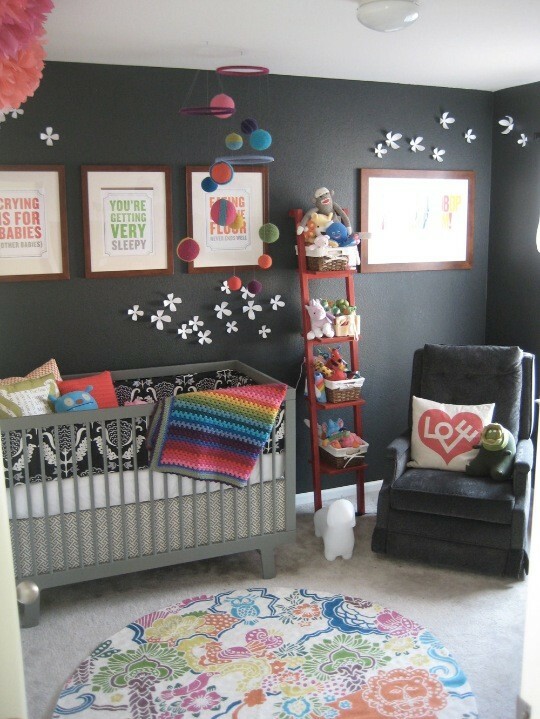 If you are looking for inspiration for your baby’s nursery or other space then this is sure to please! I’m not sure what I love most – the fab black walls, striped blankie, whimsical rug or quirky prints on the wall. What is your favourite element?